Soya products are made from the seeds (“beans”) of a plant whose Latin name is Glycina Maxima. Soya is a plant in the leguminous family, measuring roughly 80cm high and producing hairy pods containing 2–5 seeds. These are what we call soya beans. We use the yellow bean variety in Sojade products because of its nutritional qualities and its taste. Soya has been cultivated in Asia for almost 5000 years and still holds an important place in Asian diets, right from the youngest age. Soy made its first appearance in the West at the beginning of the 20th century. In France, it is mostly grown in the southern part of the country. Besides being an environmentally friendly plant, soya’s unique nutritional composition in the vegetable world makes it a foodstuff of choice, an excellent alternative for all those who like a healthy, balanced diet. 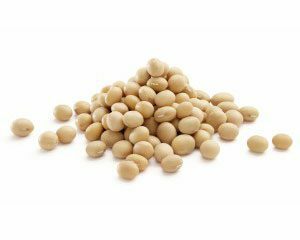 Good quality protein: In the plant world, soy proteins are those with the most attractive composition as they contain all eight essential amino acids. Soya based foods are therefore a great source of proteins and a good complement to those based on cereals. Good quality fats: Soya based foods contain very little in the way of saturated fats (reversing the trend of many people’s diets), but they do provide unsaturated and polyunsaturated fats (including omega-3 fatty acids), which our body cannot synthesize and which are often too sparse in our diets. Today it is widely acknowledged that a diet that avoids saturated fats contributes to keeping a cholesterol levels normal. No milk protein: providing a real alternative to people who are allergic to these proteins. To keep our food intake balanced, it must be as varied as possible and rich in plant-based foods. Soy products are a simple and tasty way to put vegetables on everyone’s plate. Soya bean sprouts, found in salads and in various Asian dishes, are a complete misnomer because they do not come from germinated soya beans at all but from germinated mung beans (also called green gram or green soya). Mung and soya are two different plants that do not have the same nutritional qualities. Mung bean sprouts have a nutritional value similar to that of green or French beans (non energy giving, few proteins) whereas soya beans are rich in protein and contain complex sugars and useful fats (little of them saturated, the opposite of what we often eat).